Linking up again today with Jenna and Anne for Currently. Dreaming: of going on a great vacation. Trevon is graduating this spring and we are wanting and hoping to go on a cruise or to Hawaii or something! We have hit a few bumps in the road of planning it, but hopefully the will all me straightened out and we can go. 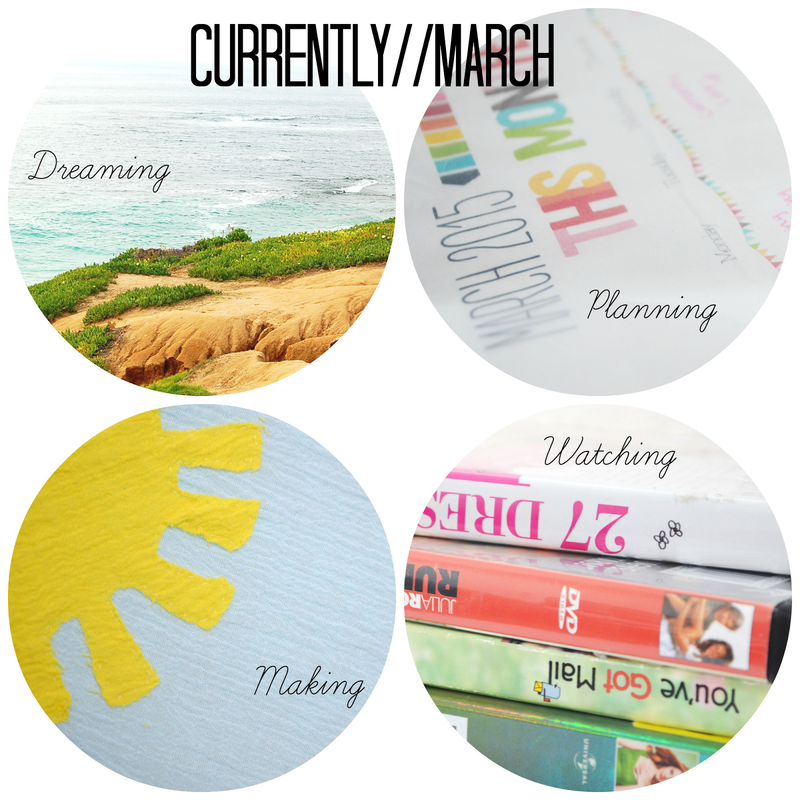 Planning: Blog posts. So many blog posts. Making: Some cute baby blankets for a giveaway that will be coming up soon. It's going to be a fun giveaway so make sure to keep checking back. Baking: Nothing. But now that I think of it, chocolate chip cookies sound pretty good. Watching: All the chick-flicks. Trevon has class some nights so I've been trying to make this special "me time". I put the girls down a little early, make me something yummy to eat and curl up on the couch with a movie. It helps me not be so down about him being gone at nights. You and your husband should definitely take off for a trip after his graduation! Hawaii would be awesome! Sometimes a good chick flick is just the right thing to do. It would be heavenly, I really hope we can work it out to go. Fingers crossed. I agree. Fingers crossed that we can go!